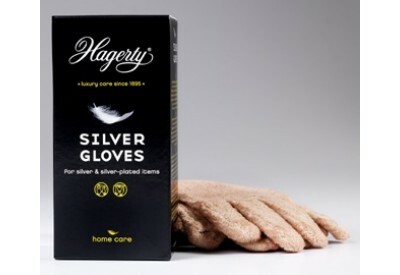 Hagerty Silver Gloves give an instant shine and are ideal for silver and silver plated items. The gloves are specially treated silversmiths' gloves and are reusable even when blackened. The gloves restore shine and protection, giving a long lasing anti-tarnish protection.